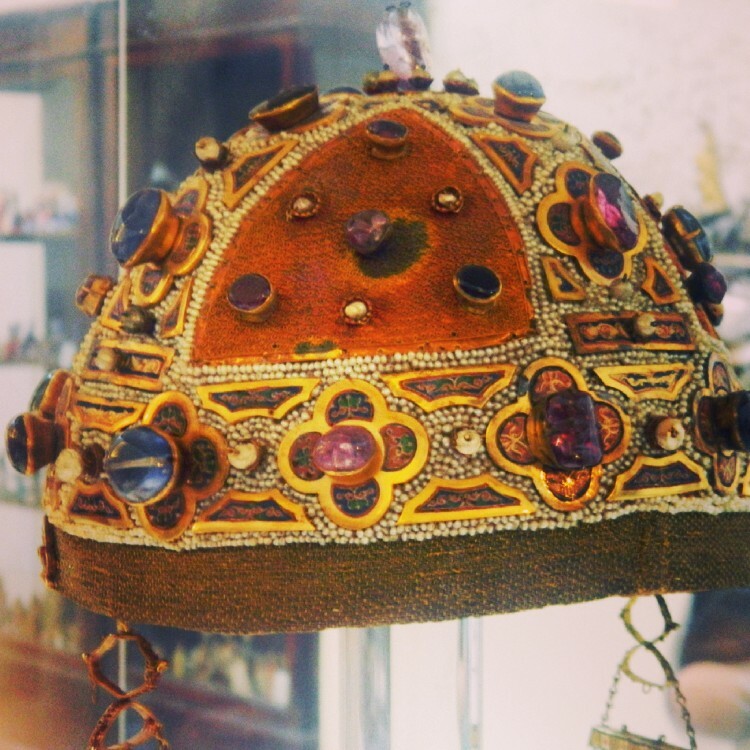 crown worn by Constance of Aragon (1179-1222) is housed in the treasury at Palermo’s cathedral. It is a fascinating example of uniquely Sicilian jewelry-design, exploiting Byzantine, Norman, and Arab influences. It is donned with precious stones like sapphires and rubies, in addition to pearls, gold, and other intricate detailing.